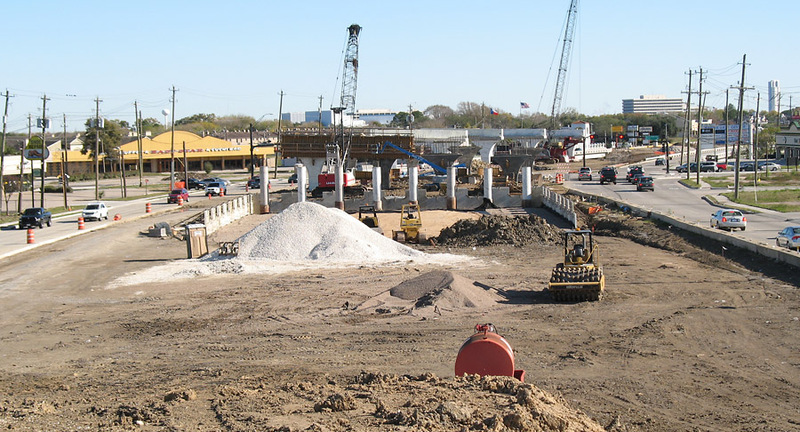 Work is nearing completion on the new location section and it could open soon. 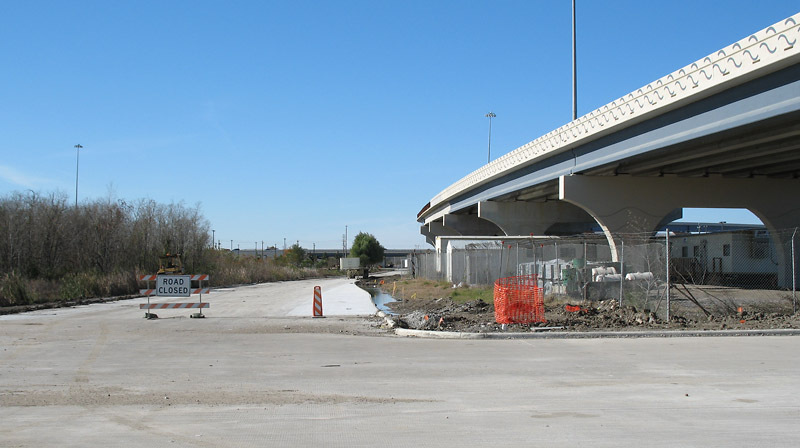 The section that runs on the existing NASA 1 at the east end of the project is still probably a year from completion. 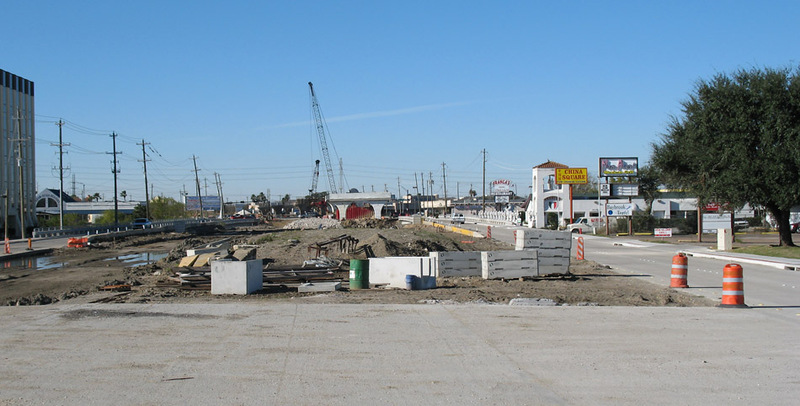 Looking west at the east end of the project, with a pier for the overpass at Egret Bay/El Camino Real in the distance. 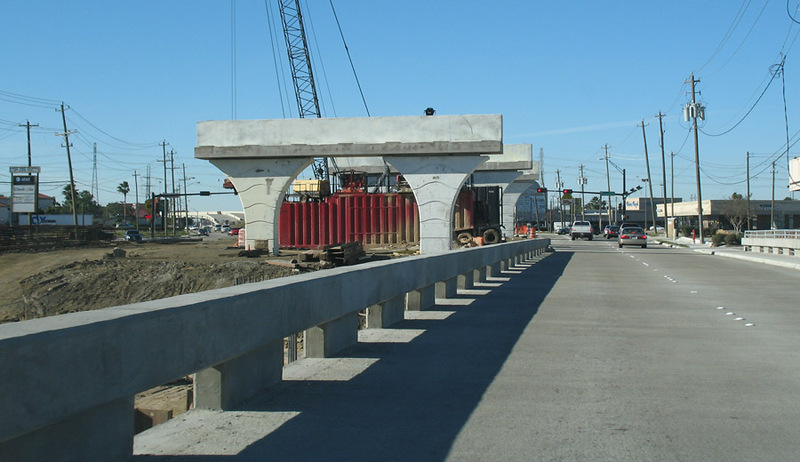 Piers for the Egret Bay/El Camino Real overpass. 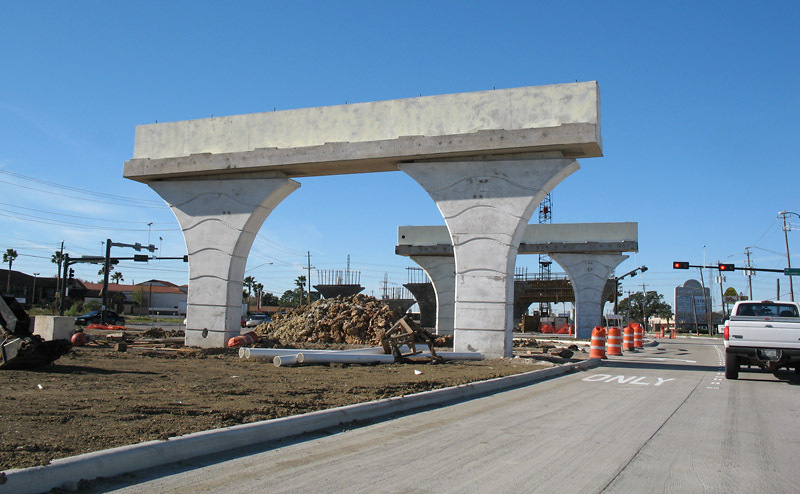 On the west side of Egret Bay/El Camino Real, looking east toward the intersection. 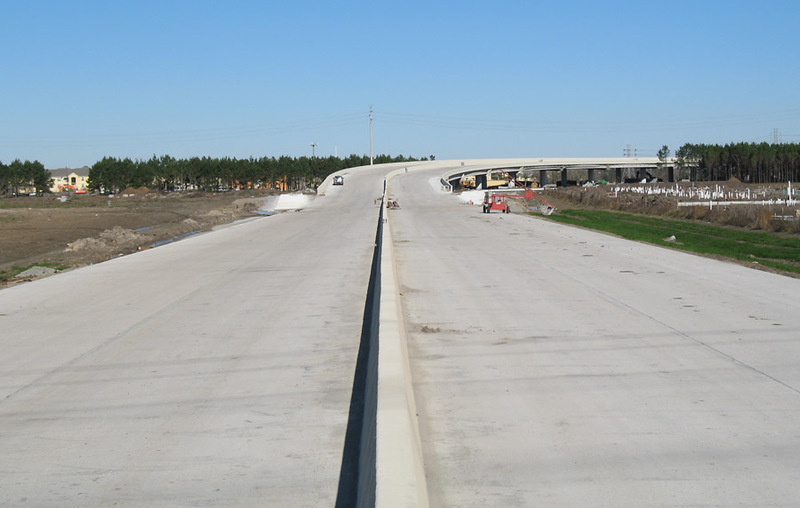 Just west of Egret Bay/El Camino Real, the bypass veers to the south on a new location. 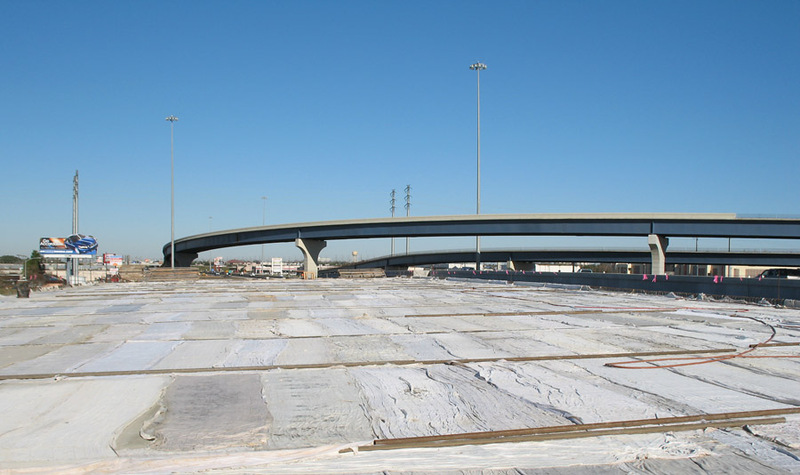 This is the Water Street overpass, where the bypass veers away from the existing NASA 1. 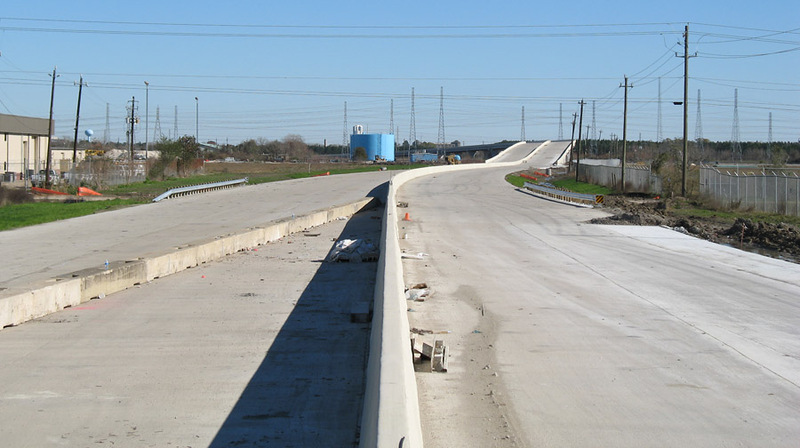 This view looks along the main lanes with the merge point with the existing NASA 1 ahead. 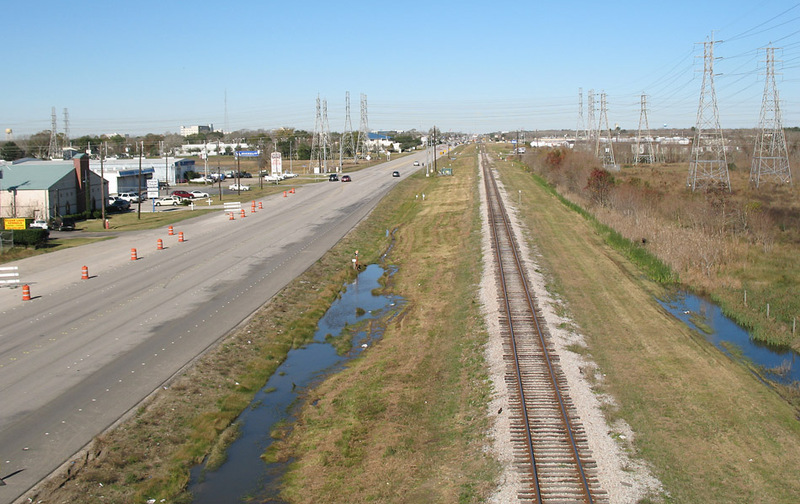 This view looks east from the State Highway 3 overpass. 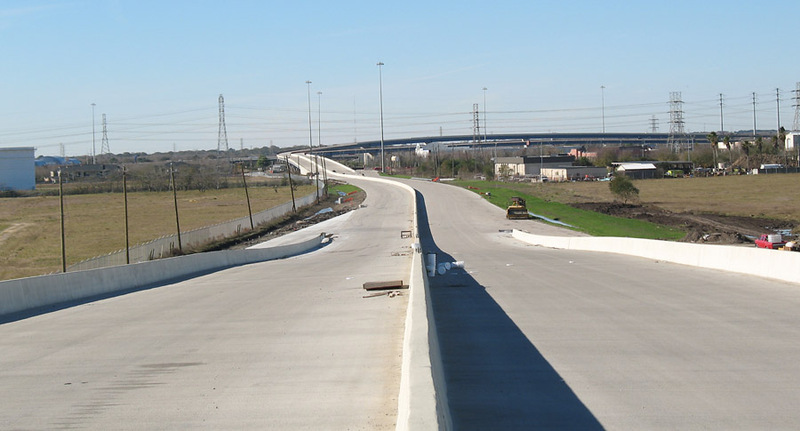 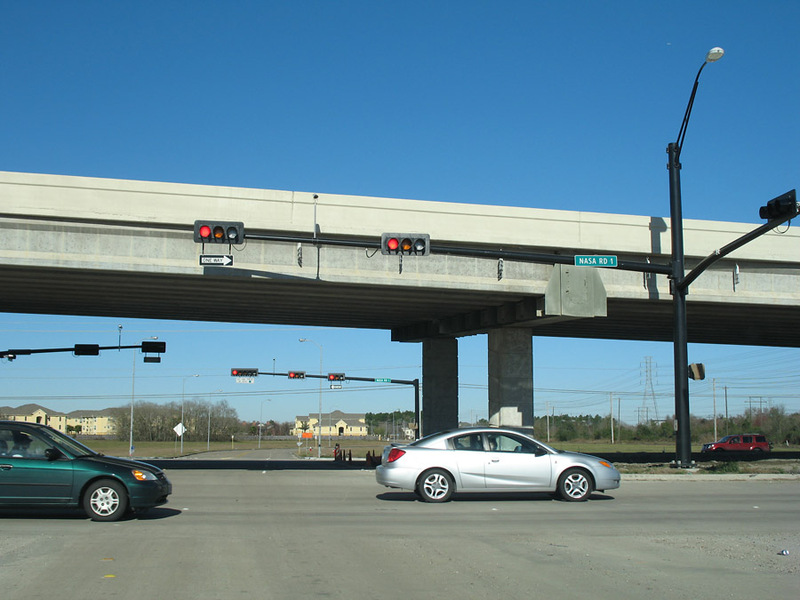 Looking west with the Highway 3 overpass in the foreground and the connections to I-45 in the distance. 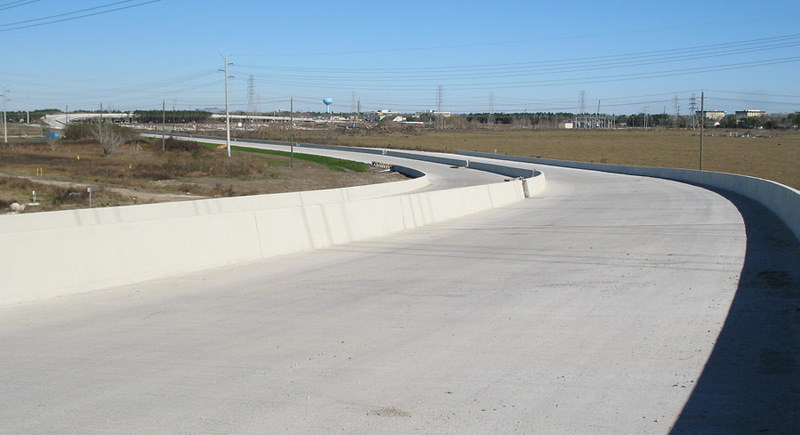 This is the view looking north from the Highway 3 overpass. 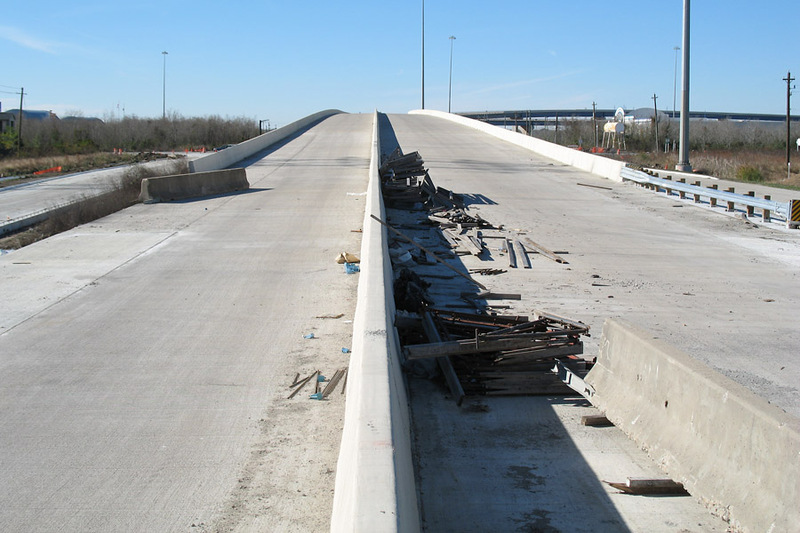 This view looks west from the Highway 3 overpass. 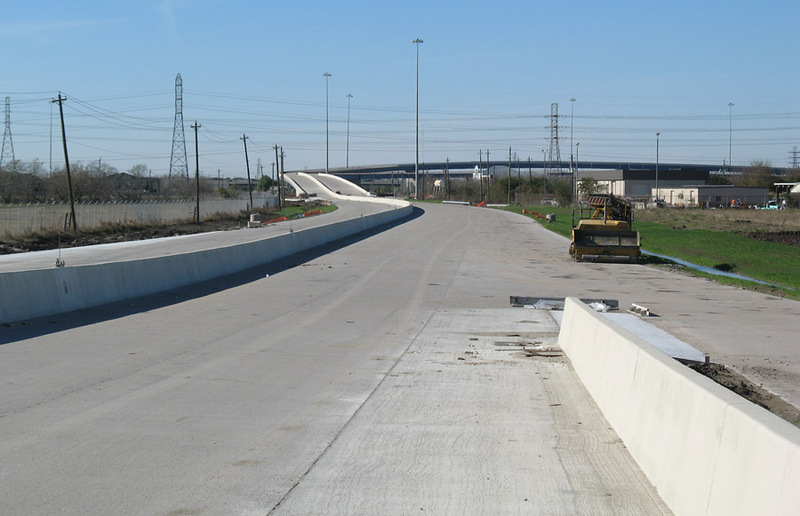 Looking west with the entrance ramp from Highway 3 on the right. 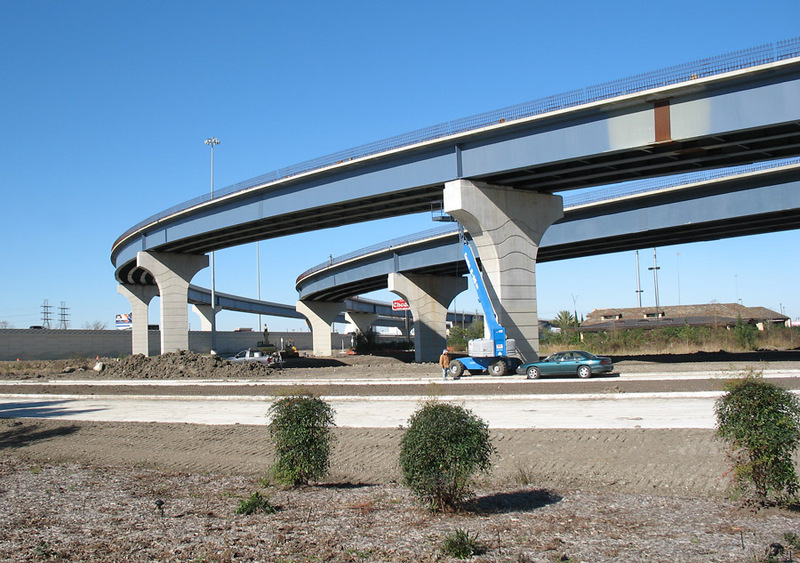 Looking east at Kobayashi, with the Highway 3 overpass in the distance. 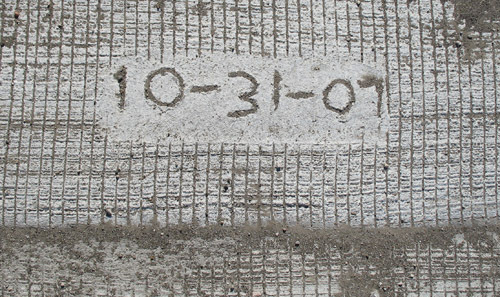 Someone inscribed the date in the pavement. 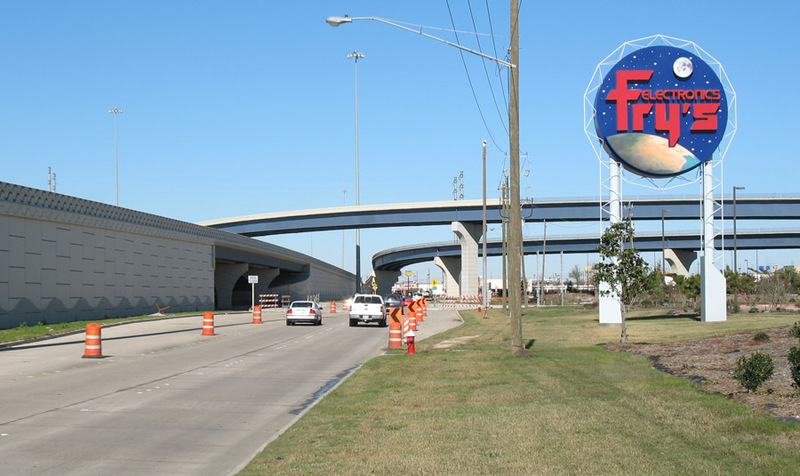 Looking northwest (northbound) along the I-45 northbound frontage road. 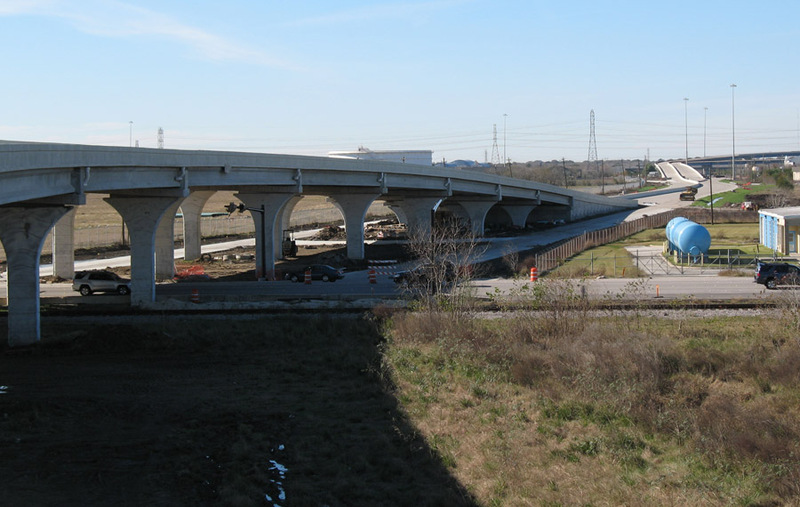 I-45 is being widened at the bypass connection. 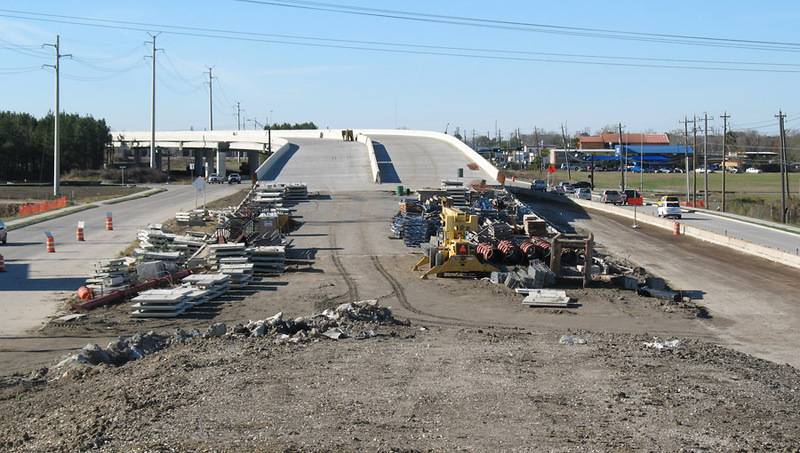 This view shows the new bridge for the southbound main lanes.